Anthropologie isn’t a one-trick pony. Their home goods section is insanely good, albeit a bit pricey. 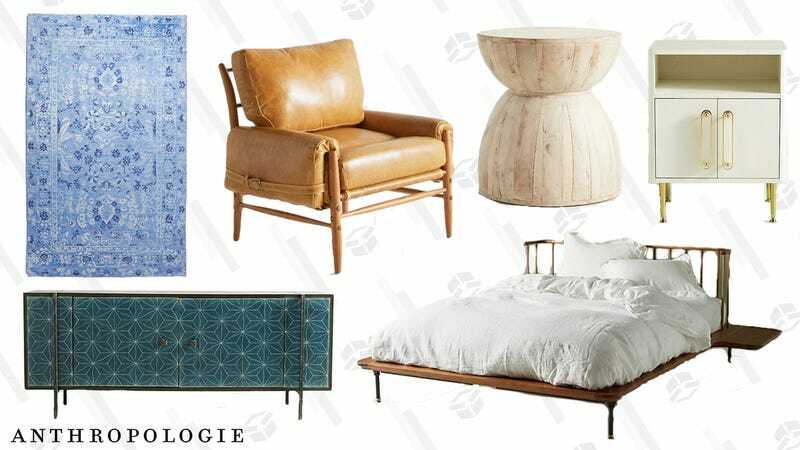 But right now they’re taking 20% off a bunch of furniture and home decor, no code needed. Just add all your favorites to your cart and you’ll see the discount at checkout. Everything from rugs to chairs to tables is included in the sale, so get ready to redo your entire house.